Regardless of a couple of high-profile companies recently pulling their at-home workers back to the office, the global trend of increased telecommuting is not slowing down. While businesses who allow telecommuting often benefit from lower overhead, increased productivity, a larger hiring pool, and happier employees, virtual offices can pose challenges when it comes to Workforce Management. 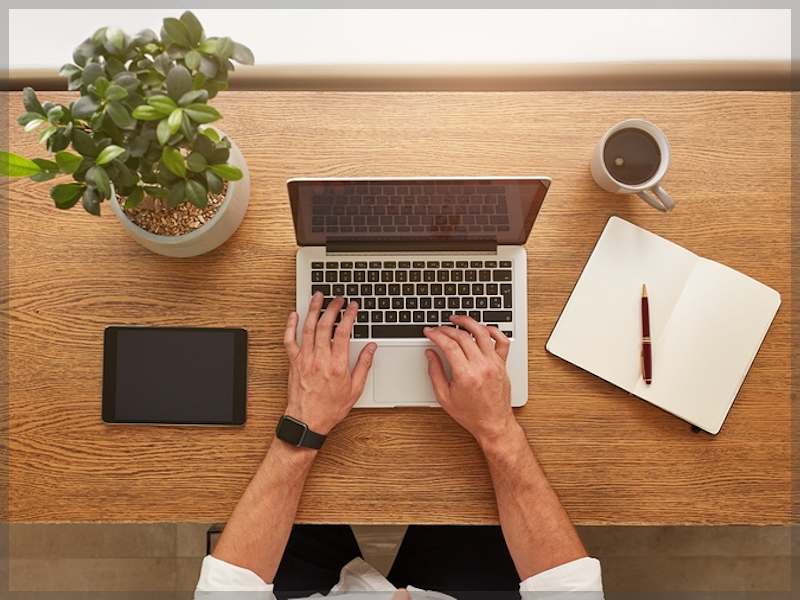 Telecommuting is made possible by technology that allows organizations to provide their products or services to clients using a remote workforce. In addition, employees use technology to communicate, collaborate on projects, and interact with customers. In a similar way, Workforce Management Suite brings industry-leading smart technology that makes Workforce Management easy for remote employees. Workforce Management Suite is the comprehensive Workforce Management system from Advantage Payroll Services. It consists of TimeWorksPlus for onsite and offsite employee time and attendance and TimeSimplicity for scheduling both in-office and offsite workers. Remote employees can clock into the TimeWorksPlus virtual time clock from their laptop, tablet, or mobile phone. Supervisors have 24/7 oversight of who is working when and where. Contrary to a common misconception, tracking time and attendance is just as important for salaried workers as it is for hourly associates. Most labor laws apply to both hourly and salaried employees, thus employers must have accurate records of clock in/out times, breaks, and meals. Accruals calculation, overtime pay compliance for non-exempt employees, and ACA work hours provisions are just a few of the reasons that business owners must track employee time and attendance accurately for all personnel, regardless of how they are compensated. In addition, they need a paper trail to verify the records in case of an audit or labor dispute. TimeSimplicity is the least complicated way to effectively schedule offsite workers. One of the most valued employee perks of telecommuting is flexible work hours (when allowed by management). For most companies, however, it is usually necessary for team members to be online at the same time for at least a few hours during the day. This can be challenging if employees are spread among different time zones. TimeSimplicity has tools to manage all the complicated logistics of remote team scheduling. With centralized cloud-based schedule management, hours threshold SMS alerts, and automatic schedule notifications, TimeSimplicity has the tools to manage your workforce with ease. When schedules are centrally managed in a cloud-based system, managers and at-home workers are all on the same page and can access the information at any time. Automatic messages inform all team members of essential scheduling and time card information. TimeWorksPlus provides self-service time cards that employees can access 24/7 from any internet-enabled device. Remote employees can record time and verify time cards under customizable company rules. When they clock in or out, the time is captured immediately on their virtual time card. This eliminates the end-of-pay-period scramble that often results from outdated and non-automated paper timesheets. TimeSimplicity has a Virtual Trade board that allows telecommuters to bid on open shifts, request shift trades, and view approvals without having to talk to a manager. Employees and supervisors don’t have to exchange endless texts and emails to work out schedule changes. All stakeholders can see the schedule and updates at any time, night or day. “Out of sight, out of mind” is expensive when it comes to unneeded overtime and can also result in employee burnout, higher attrition, and reduced productivity—all of which are costly in their own right. TimeWorksPlus overtime notifications allow businesses with a virtual office to meet their scheduling, workflow, and cost of labor objectives with smart automation that allows supervisors to concentrate on other things besides managing overtime. Employees who work from home don’t always use the same hardware and software that is used at the corporate office. Because Workforce Management Suite is cloud-based, it functions seamlessly on desktops, laptops, iOS and Android devices. It also eliminates the need for expensive software upgrades. Advantage Payroll Services offers WorkforceHUBÂ, the unified Human Resources portal that makes it easy to optimize the performance of your managers, employees, and business.